Posted in Memorial, Pre-SSRI Case Reports, SSRI Nightmares and tagged Adrenal Exhaustion, alcohol, bi-polar, Depression, discontinuation, Divorce, Freak Out, Handgun, Imipramine, inhibitors, Manic State, Meds, mood, Raquo, reaction, serafem, serotonin, Sertraline, Side Effects, ssri stories, Suspicious Suicide, syndrome, Tofranil, TOFRINAL, Weird Behavior. Years have passed ..the pain of the memories i have had leading up to her sudden death never faded. However..Now with this truth that I knew was always somewhere out there to be found It finally surfaced. I have found my answer to her death. I know with not one reasonable doubt, the evidence I have, the dates of events etc.. I am 100% sure this drug ‘INDUCED” suicidal thoughts, the sudden stopping of the drug through her into the sudden withdrawl, which in turn…lead her to take her life. NOT MAKING A CONCIOUS DECISION TO DO SO..
MY SISTER WAS POISONED BY A LEGAL DRUG, SHE DID NOT GIVE CONCENT OF TAKING A CHANCE OF THE “HIDDEN” BUT KNOWN BY THE DRUG COMPANIES SIDE EFFECTS OF A DRUG GIVEN TO HER FOR MERE STRESS. THE CONCEALED INFORMATION “SUICIDAL INDUCED THOUGHTS” AS WELL AS THE “WITHDRAWL” SYNDROME THEY CALL IT TODAY..WHICH ACTUALLY MEANT THAT YOU COULD FALL INTO SUCH A DEEP DEPRESSION …YOU MAY JUST END YOUR LIFE! THIS WAS NOT SEEN BY ANY OF THE VICTIMS…THE FAMILIES , OR EVEN DOCTORS….UNTIL DECADES LATER! 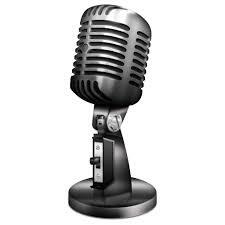 NEXT TIME YOU HEAR A COMMERCIAL FOR ANY AND ALL ANTIDEPRESSANT DRUGS- STOP AND LISTEN! WHEN IS SAYS MAY INCREASE SUICIDAL THOUGHTS IN A SMALL AMOUNT OF PEOPLE. THAT IS WRONG AND SHOULD BE CHANGED TO… “MAY INDUCE SUICIDAL THOUGHTS” WHERE THERE WERE NONE BEFORE! PLEASE THINK OF NOT ONLY MY SISTER BUT THE COUNTLESS NUMBERS OF INNOCENT PEOPLE WHO SOON BECAME VICTIMS OF SUICIDE …..BECAUSE IT WAS “INDUCED” AGAINST EACH PERSONS WILL- THEY DID NOT KNOW WHAT WAS HAPPENING TO THEM…PEOPLE SIMPLY THOUGHT THEY WERE LOSING CONTROL NOT EVER CONNECTING IT TO A “SAFE” PRESCRIPTION DRUG GIVEN TO THEM TO HELP WITH THE NORMAL DAY STRESSES OF LIFE. I’m sorry to hear about your sister. But it is good on your discovery of the drugs. I’m glad you’re out there screaming about it! I am so sorry about your sister’s death. I too took Imipramine about 8 years or so ago for a dizzy disorder, I found that it caused me intense anxiety and slow spins at night when I tried to sleep. I think I lasted about 2 weeks on it. I did not like that drug at all either. I do not know what might have happened to me had I stuck with it but the ADR’s were not worth it. Congratulations on finallyl getting your story published, I know it might not ease the pain, but just finally to know why? has to put a lot questions behind you, and your family. I hope you are doing well. I hope this petition gets the word out on how much antidepressants can induce suicidal, erratic, abnormal, and aggravated behavior. A calm, reserved, and caring individual doesn’t suddenly get homicidal or suicidal within the course of a month; however, add a drug into the mix and these reactions are possible. Whenever someone commits suicide, murder, or suddenly becomes “crazy,” the first thing investigators, doctors, or police should ask is “was this person on or withdrawing from any medication?” It seems that with the power and influence doctors and drug companies have, they can continue to deny that these drugs don’t induce such behavior, and can also do a good job of making the citizens believe them, too. But, like with tobacco, which doctors initially shamefully endorsed, there’s a movement growing that’s alerting potential patients about the truth of these drugs. Sorry to hear about your sister. I hope Lorraine’s story will help get the word out. thought of you- you did not give up! Many people told you to move on and let it go- and you couldn’t! And the apostles did not let them forget what was done to Jesus. story out there, never giving up. God bless you. that they tried on him, which prolonged and accellerated the agony. If only more people could be steadfast in their compassion and caring. Thk u for sharing this very important and horrible part of your life!! It is a essential peice in the evils of our economy in modern day so called civilisation!! We have much to still progress on. And one of them is the dictatorship by psychologists, psychyatrists, scientists and so called phycisians. I am sorry this happened to you!! It hit me hard I’ve been on a number of them for years. I’m 54 years old. I take Celexa in the morning, and 300mg of seroquel at 7:00 p.m. I am so prud of you!!!!! You did it. It will come to pass. People will know that all meds, and I say ALL MEDS are not good for anyone. They cause so many problems in so many ways. Our bodies were not made to take in all these chemicals. The pramacuital companies need to stop telling people to take this crap. And doctors need to stop as well. there are so many natural ways to help cure or deal with all illnesses. That is what needs to be put out there. God made all things, and all things have a purpose. We as a whole have to use what we have on the plants to help cure all that is out there. It can be done, but the government wont let us due to money, money, money they will lose in the process. That has to change and everyone has to fight together for it to pass. Thank you for sending this to me. I think about you alot and your family. given by Dr. Anne Blake Tracy. She paints a grim picture and it’s all true. not you.” However, it is not “justice” that you are seeking for your sister. they pay attention to your warning and don’t get hooked in the first place. through instant withdrawal. It could get really, really nasty. good for only one thing: trauma care. Psychotropics are bad news. attack. Other than that – leave us alone! Sept. 22, 2009 will mark the 28th anniversary since we lost you…. I miss you still… like it happened only yesterday…. I AM SORRY I COULD NOT DO ANYTHING TO HELP YOU AT THE TIME YOU WERE IN TROUBLE..I DID NOT UNDERSTAND. I AM SORRY IT TOOK ME YEARS TO FIGURE IT ALL OUT. YOUR MEMORY AND SPIRIT WILL LIVE ON…. MAYBE YOUR STORY WILL SAVE A LIFE? MAYBE IT WILL GIVE CLOSURE TO OTHER FAMILIES LEFT IN THE DARK LIKE OURS WAS FOR ALMOST 3 DECADES? MAYBE GOD PICKED YOU…TO SEND A MESSAGE TO THE REST OF THE WORLD? WE ALL MISS YOU BOTH. I KNEW YOU KEPT YOUR PROMISE TO ME, AND NOW I KEPT MINE TO YOU. THE TRUTH OF WHAT HAPPENED TO YOU WILL BE HEARD! Your story is is so close to mine. My father killed himself by walking in front of a train in 1981. Only after I had been prescribed Lexapro and wound up with all kinds of problems, 2 DUI’s, 3 drunk in publics (where I called the police on myself!) and a suicide attempt was I able to make the connection between my father’s suicide and anti-depressants. I am 40 years old now, I was also 13 when he killed himself. He was a school teacher and the last time I saw him was in the school lunchroom. I saw him sitting alone and decided to sit with my friends and not him. My mother never told us the outrageous extent to which he was drugged. He was given over 12 psychotropic drugs over 3 years, including Imipramine (Tofranil or Elvavil) and I believe Xanax and other tranquilizers. Only last year, she told me this when I asked her. I had known that he had taken anti-depressants but not what kind or how many. He sufferred from akathasia, he would lay on the couch all day for months and say he was “too nervous” to do anything. He was becoming paranoid and asked my mother if she thought the neighbors could hear them talking inside the house and if they were saying he was a homosexual. He was hospitalized 8 times in the year before he killed himself and killed himself 2 days after being released for the last time. I never knew about these side effects or how many drugs he was given until I had my own experience with Lexapro. I have lived for 27 years, just like you, waking up every day, thinking “why, why, why” I’ve always had this nagging feeling that I should be doing something but don’t know what. For 27 years, I have been my own judge, jury, and executioner of anything in my life that would make me happy. I have let people treat me like a doormat, because I decided they were all better than me because I caused my father to do that by abandoning him that day at lunch (which I logically knew wasn’t true but I still felt that way.) I developed terrible fears that something would get me in the end and I would die a horrible painful death, my child or husband would be killed in a car accident everytime they went somewhere without me and it would be my fault for letting them go alone. I was OCD and would check for fire hazards everytime I left the house for work so my dog would not die in a fire. I called my house 20 times a day from work to make sure it wasn’t burned down. I had anorexia and bulimia when I was a teeanager and had terrible nightmares until I was 23. It’s very sad because I also have 4 brothers and a sister. Once I made this connection to the drugs, my OCD and fears have all but dissapeared. Maybe he can finally rest in peace. such as bed wetting and with the same side effects. Lloyd.,Connolly. As with all drugs, but esp. psych drugs, it is VERY IMPORTANT that you work closely with your psychiatrist & therapist! If you aren’t “safe” you should even be watched MORE CLOSELY. I do believe prescription drugs are a necessity for some conditions, and with monitoring ARE safe & helpful in the treatment of all kinds of mental conditions! I know that the closer my daughter works with her psych/therapist, the happier she is, and the more they’ve pulled her from some very serious, very deep issues. But…she follows her pill regiment to a “T”, and there is always a need for adjustment – which is why it is so imperative that a skilled doctor is aware of how she is doing. She hasn’t always been as happy as she is today. We’ve gotten her through some incredibly rough times, and there so easily could be a backslide without her taking both her medicines & regiment of health, eating regularly & reducing her stress with much seriousness. I can also say that despite medicine, doctor’s care, and watching 24/7….there is ALWAYS a chance that someone who is driven to commit suicide will find the opportunity and chance to do so. My favorite nephew was one of those. Alcohol & steroids also didn’t help in his case. Thank you for sharing your sister’s story and helping others to understand the potential risks for some medications. Being well informed about risk factors may help save others as well as help other families understand their loved ones’ suicides. There are often physical reasons for mental health issues. Lisa I too know that down side of certain drugs. Many of our veterans are guinea pigs. I know what my brother was put though because of the state he was in for many of his earlier years while on multiple anti depression drugs prescribed by VA doctors..I have been bringing attention to the many dangers of Legal Drug ever since. All one has to do is watch the abusive commercials offering relief from this or that then you get the downside. This drug may cause death, liver or kidney damage. 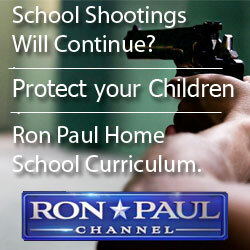 These commercials are sadistic since they are designed to be a disclaimer, used in court, should you need to sue, . In law it’s called when did you know and when did you know it…They are telling you the dangers so if you decide to use these drugs you are now responsible.. I am very suspect of corporations, doctors, etc, wanting TORT REFORM! If this law goes through we will no longer have any recourse and be at the mercy of the care giver.. I am so sorry for your loss and for the misery you and your sister were put through because she was not in safe hands when prescribed a drug for depression..
Take heart dear lady you are not alone in this fight. You can learn more about my activist site here__ http://www.DareToDreamNetwork.net and the many issues we pursue.. The sad thing is that drug manufactures never tell the real truth about what happens when there are to many drugs introduced to the body and they never will because it would effect the bottom line and for the most part we are just numbers to them and that is a fact. There have been so many people that have died from using drugs that there doctor have given them for not just mental problems as in this case but so many other problems. But to say that person took her own life is way over the top she was deeply depressed and she should have been watched much more closely by her doctors to make sure this would never have happened and that is a fact. I think the doctors should have been blamed for this horrible act not the patient. MAY GOD BLESS HER AND HER ENTIRE FAMILY NOW AND FOR ALL TIME AS I AM SURE HE WILL!!! I read your words with horror. The old tricyclics made me so physically ill I never stayed on them for long enough to be damaged, paroxitine had dominated my life since the 1990’s. It is the answer in the UK for everything, yet another drug, and more drugs but nothing that actually helps. WOW…. I finally have the answer! After these last few years of thinking I was the one who was messed up and no one could help me and trying all different drugs and nothing working. Thank you……. About 4 years ago i attempted suicide by over dosing on medication I was a senior in college and thanks to my roommate for finding me in time i am still alive. The feeling of being empty and feeling like nothing you were doing in life was good enough… and feeling as though you were just here wasting space was all that ran through my mind. I began to not care anymore I used drugs, I drank….. and just to find out it was all the medications that they had me on. NO ONE should ever have to feel this way…..I am soooo sorry you had to go through with what happened! justice for her and your family. it right? I will be sure to buy it.! I really hope you get justice for your sister used risperdal it gave me 7 side effects including akathisia i was going to kill my self just to end the suffering and after i quit the drug me schizophrenia got much worst all this companies care about is money. I think there are alot (if not near all) prescription and over the counter medications that are just plain “not good” for anyone. Example, anti depressants that get prescribed. It seems to take forever to find the right pill and dosage. Along with that, a doctor will probably go thru a number of different ones to find the one that works best. This is where alot of ppl have a hard time coping. They are in need of help, but while being used as a guinee pig, they can become very lost and in some cases suicidal. So, what to do if one does not want to be guinee pig? I suggest that there alot of natural/normal things that could and should be tried. There might be alot of things that one should give up, eg., certain types of food, clothes we wear, cosmetics are the main ones. Clothes – Choose natural fibers for your clothing. Ensure there is no chemicals in the material of the clothes. These are only a few of the things, but most important that can affect the way one thinks, or is force to think by what they come in contact with everyday. Chemical reactions on the human body. Sounds strange, but true. Lori would of had Psychiatric Psychotherapy. The drugs and the psychotherapy she received did nothing for the stress of the divorce, but added to that problem which ended in suicide. Anyone going to a psych or medical practioner today for a similar situation are up against the same failed system Lori went to for help. Handling the stress related to all illness. comes an improvement in health. Hi, I’m a victim of a different drug, but I would offer the importance of considering where, exactly, your dear sister had been living before returning home. Why I had a worse time metabolizing the medication has been one of the hardest parts to understand. If your sister was spending time near any broadcasting or high power equipment, she could have been getting a much higher effective dose. The fact is that cell membranes dilate in the presence of electric fields, admitting more hormones, toxins, and medications, deeper into the body. If you would like more details, please contact me. Lisa, thank you for sharing this deeply personal story. I hope it helps to heal your long suffered pain….and helps prevent someone else’s pain too in the process. You are doing the right thing. Professional medicine failed your sister, but you are not failing her. Too many “legal” drugs are killing people. Why did the FDA ever pass the one that took your sister’s senses? Stay strong and battle on! discovery for loss of my professional credibility for many years. her own mother’s exposure to psych drugs. that the event was blamed on her MENTAL ILLNESS not her toxic treatment. She was a brilliant, talented, beautiful young woman only 20 years old. children more every year as expansion profit centers for psych drugs. investigation of your sister’s death. Oh, Lisa, I’m so sad to read this. I had no idea. 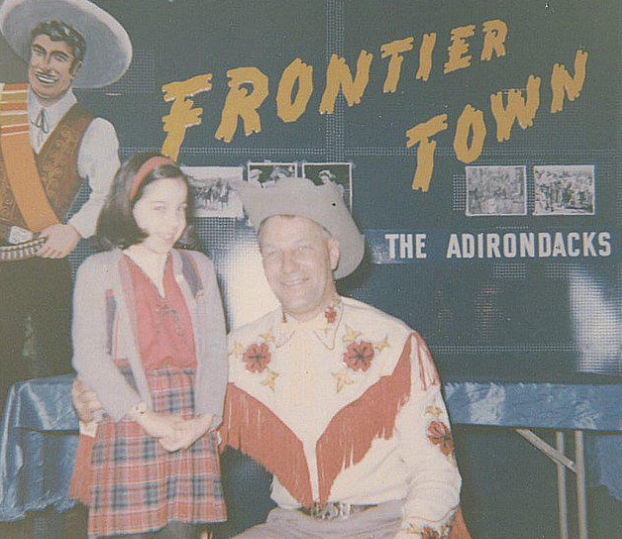 Please remember that you were just a young girl and there was no way you could’ve understood at the time what was going on. Good for you for being your sister’s champion, and continue to fight hard for what you believe is right! on these poisons for anxiety, could I put the pieces of the puzzle together. suicide were on SSRI medication and that is why they did what they did. love, or how much money can return my brain back to it’s pre-drugged state. Firstly, thanks very much (if that’s the right expression!) for sending your story. It is one of the most tragic and moving things I have ever read. Anti-Depressants are handed out like sweets (candy as you say) over here in England and the damage they have done to me is untold. 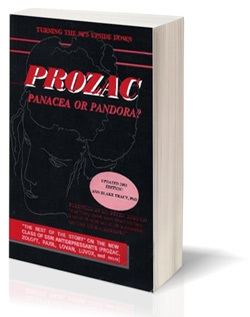 I was put on Prozac back in 1997 because I was supposed to have been ‘Clinically Depressed’. I have Crohn’s Disease and Type 1 Diabetes and yes, it gets me down but, before I went on Prozac it was never something that I couldn’t handle. My Doc thought they would be a great help! After around 6 months, I started to get really bad fatigue and lethargy. This was put down to Crohn’s but, when the illness was under control, I still had the fatigue. To cut a very long story short, I went for every test possible to try and find out what was causing it but nothing showed up. This fatigue killed off my marriage, my career and my life! Following my divorce I was so down and anxious that a Psych. changed my A/D’s to Mirtazapine telling me that they would be better than Prozac in that they would stop my anxiety, No way! I too became suicidal and these types of thoughts were constantly in my head. Every morning I would break down crying (I am a male by the way) and, even though I’d been through a divorce, I just knew this was not me. Yes I should have been sad about the divorce but this was just unnatural, it was if my body had taken control of me. Eventually, I went to see another Psych. and told him that the Mirtazapine seemed to be making me worse or, at least not making me better. He (a very arrogant person) simply told me ‘just stop taking them and I will write to your doctor and tell him to cancel your repeat prescription. Of course I did what he told me to do after all he is a qualified Psychiatrist and who was I to doubt him?! Anyway, I wish you a happy and peaceful Xmas and rest of your life. I have signed the petition and wish you all the success you deserve for bringing these eveil drugs to the public awareness. Well done sweetheart there are to many people dying due to the drugs they get from there doctor and trust that they are in good hands I for one know what i am talking about as my mother was addicted to precription drugs and contributed to her death when she was only 36.
drug side effect should be published to take the blame of the victim and on the hands of those that are guilty. I thank you for your information and I know that people all over will see the truth here. After sharing you sister’s story a life was saved! My son’s life partner was on this drug and was having all sorts of problems. I passed your story on it was recognized by family and professinals. He got off this drug and is fine. YOU AND YOUR SISTER SAVED A LIFE! I just found out tonight what happened. 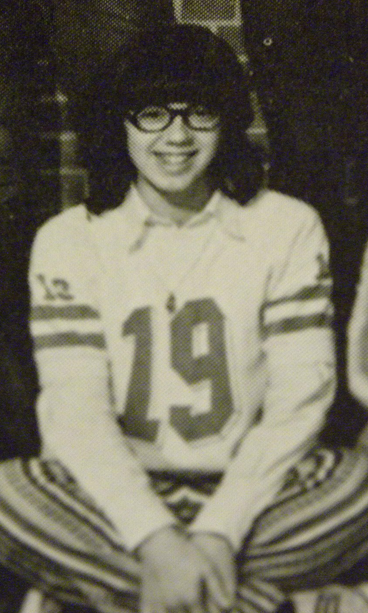 I knew Lori back in the seventies. We hung out now & then. I moved to California in 1976 and just lost touch. My prayers go to you and your family. And any other family with similar situations. May God Bless. Lisa, I am sorry for your loss. Your sister trusted a doctor (like we are supposed to) and took what was prescribed. Psychiatric Drugs that psychiatry and GP’s prescribe can go either way, drugs might help or harm the patient. This makes psych drugs not a science, and not medicine, in my opinion. Yes , the survivors should unite to put better restraint (LAWS) on the multi-billion dollar a year pharmaceutical companies that peddle mind altering drugs as medicines. Thank you for contacting Citizens Against Homicide regarding the story of your beloved sister’s tragic journey. Your words were heart wrenching and, I am sure, must have been extremely difficult for you to express. However, the truth about this drug, IMIPRAMINE (TOFRANIL) needed to be told. Lori’s story will, no doubt, hit the core of so many experiencing signs of stress/depression and wondering where to turn or what medications are safe to take. Thank you, Lisa, for stepping forward to ensure that another family does not have to suffer such a senseless, tragic loss due to the effects of an irresponsibly prescribed drug. was that type of person. I Am saddened by our Communities giving patients antidepressant drugs without truly monitoring patients. I understand completely what this family has grieved for. Ii myself, have experienced similar situations and believe me it feels like you are hopeless as witness a daughter and a boyfriend going through this same experience. Luckily, my daughter is still alive. I pray everyday she continues to be alive. The fear of not knowing and knowing all too well society and life all I have is prayer for her. My boyfriend was not so lucky as he also shot himself ion the head. Both, my daughter and my boyfriend had experienced this rocking and talking uncontrollably. Please our medical professionals need to re-access the drugs given to patients and monitor very close. We need to stop our society from suicides. This is preventable. Please listen to our stories and I pray that you do not ever have to go through what we have went through living through suicide. 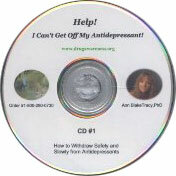 I had been put on many (over 40) different anti-depressant drugs do to depression. For 25 yrs. It would take 4-6 weeks to work, by then I was completely suicidal and had to be hospitalized! On each and every type I took! They say this only occurs in young adults, I disagree completely! I am “living” proof as an OLDER adult that they are BAD medicine. Dr. FINALLY put on my chart that I could not take them (after 25 yrs. of trying different things and many hospitalizations). I honestly believe that they are created to do exactly what they do do. MAKE people take thier life. Not one kind EVER helped me, only caused tremdous problems mentally and financially. It puts thousands of dollars in the pockets of Big Pharmacy and the DRs. who no longer practice with ETHICS. Its to line their wallets, no matter what the cost. Even your LIFE. Thank God I found a DR. who seen this and cared enough to put me on a completely different med. that has helped tremndously (after searching for 25 yrs). They tried to put my neice on one and I had to step in. She is now doing great with her family Dr. and the meds. he gives her, which, by the way, are NOT anti-depressants. Lives a completely normal life and did NOT while trying all of the anti-depressants they were feeding her. Seen it happen too many times. Its a gamble with your life that they are taking. I am SO tired of seeing commercials on TV pushing antidepressant drugs. How can people be so stupid as to IGNORE the warnings about sexual dysfunction, violence, and suicides apparently being caused by them? Not only that, but mothers and their babies are being “treated” with these toxic drugs with very sad results. Psychiatric drugs ruin lives. Thank you for sharing. My son was put n this drug as a young teen-ager in the ’90s. It effectively ruined both of our lives. Thank the Lord he didn’t die. He complained of feeling like he was in pea-soup and couldn’t get out of bed. He just refused to take it any longer. He went through what I now know is withdrawal syndrome. At the time it was so unmanageable I (again) listened to the shrink and put him in an institution. What a nightmare. It is small wonder he doesn’t even speak to me anylonger. It just amazes me that with the internet superhighway (which I didn’t have then) people are still succumbing tot he comfort of a shrink and having their lives destroyed and wondering WHY? Thank you Lisa. And God Bless Ann Blake-Tracy. Lisa I can hear your pain I can feel your cries inside I can sense the agony you hide I know your loss is deep and wide I know you rage and tear and cannot abide all these people millions and score being misdiagnosed and drugged–yes the statistics SOAR–as many turn to homicide, suicide, and more-I know you long to even the score and save many others from going through this revolving Hell Door-I pray for you and all the rest whose palpable pain leaves nothing to jest that you find peace and justice too and that others are saved from what these vile drugs do. –Peace and Love, csm. I am so very sorry for your loss. What a hard thing for you to deal with as a young child. Your story is very touching and will help others. The story also shows how strong and caring you are. Your sister would be proud. Words can’t express how you must have felt – I am so sorry for your loss. I lost me older sister when she was 22 and I was 17, she had overdosed on ‘pinks’ – we will never know if she meant to or not. I have a twin sister too and I am blessed that she is still with me. She is diagnosed with bipolar nervous disorder, but the truth is that all the EST she had and all the different drugs she was on was because they did not know the real reason so decided to experiment on her. I am just so thankful I have her with me and through the grace of God, her health is okay. Looking to sign petition. To whom does it go? Over here in England we still do not have a legal duty on our medics to tell us the truth Lisa. I have read your story. What many medical professionals do not understand is that not knowing is far worse, being lied to about proceudures going wrong or drug errors does not help at all. It makes things far worse. So many things in your head make no sense – your entire world is gone. I feel for you and your father. To be 13 years old and be faced with this is terrible. You should feel proud of what you are doing….I reposted your story on my facebook and asked everyone to repost, too. It is sooo sad that it took so long to have some answers. I know that doesn’t change the outcome for you but it might for so many others. Keep the faith my friend…..unfortunately things do happen for a reason and some day my hope for you is that you know that reason. I will say a prayer for you tonight. Thank you for contacting me, commenting on the post and forwarding the video. medications I was prescribed led to suicidal thoughts and tendencies. surrounding RX drugs, children and violence. importantly, we learn to live the best lives we can, lives filled with laughter. I, too, have read your story. I think it does an excellent job of recreating the horrors of living with someone on an SSRI. It is because of these kinds of stories and this kind of information that I have held so very firmly to no one forcing an SSRI on my son. I have benefited from you, people like you, and the work of Ann Blake-Tracy whose voice was the first I heard on the dangers of these drugs. I would like for people to know that in my son’s entire 20 years of life, I have not had one person in our physical lives that has supported my resistance to these drugs even though I have shared the horrors that I have learned about them. Against my will, the police put my son in a psychiatric ward several years ago. I was threatened with child abuse if I did not allow them to drug my son even though again I pointed out the dangers of these drugs. Finally they said to me, “If you will not allow us to treat your son, then we must release him.” Well, finally! I didn’t want them to “treat” him anyway!!! What happened to that oath these doctors take about first doing no harm? Years upon years ago, back in the mid 1970’s, I was given valium for a back problem. Within days I found myself with suicidal thoughts. Since this was unusual for me, I went looking for the side effects of this drug. There it was — could cause suicidal feelings. I stopped the valium immediately and told the doctor. He didn’t seem bothered or concerned at all. I’m not sure what has happened with those we should be able to trust with our health, but nowadays if you do that, you may live, if you are lucky, to regret it. My heart goes out to all those who have suffered as a result of this. I can relate to your story. I too became suicidal after using an anti-depressant. At the time all the doctor said was oh oh, we’ve let out a can of worms. When I asked what he meant, he said oh, just that. Now I know that medication ( I don’t remember the name of it) made my depression worse. I signed your petition and hope you can find peace at knowing you are doing all you can to make things right about your sisters death if that is possible. I am so sorry for your loss. No one should have to live the nightmare that you and your family have lived. 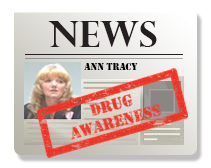 I am so grateful for Ann Blake Tracy and her passion to bring these horrible drugs to the public attention. I’m glad you have found this information and hope it gives you some sense of closure. Your sister was exactly the person you always thought she was. She wasn’t crazy and she didn’t make a conscious choice to end her life. I have an uncle who was given antidepressants after his wife of 49 years passed away. Luckily I had Ann’s information prior to that time and got him off the drugs very quickly. He was already having suicidal dreams and horrible bloody nightmares. Keep up the great work of spreading the word about these abominable drugs. Perhaps you can help save other families from suffering as yours has.